Turkish Trance Producer, DJ and label owner OzzyXPM lands on Extrema Global with a brand new production for the new year. 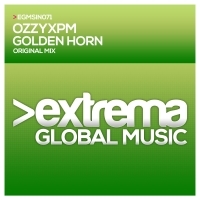 'Golden Horn' is OzzyXPM's first track to release with us, and what a song it is! Golden Horn is an exceptionally exciting production. Tight grooves and tumbling bass run throughout complete with an incredibly fulfilling riff. 'Golden Horn' is available now from Beatport and iTunes.